We welcome all individuals or groups interested in playing a role in helping the Preservation Society to protect, preserve and present its unique collection of historic properties. 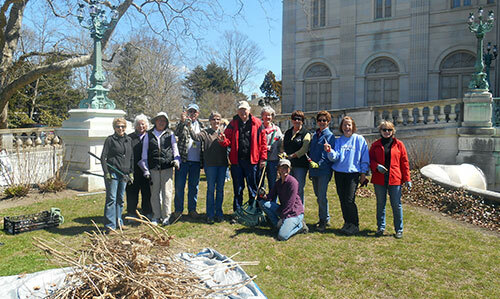 If you'd like more information about volunteer opportunities at the Preservation Society, e-mail Volunteers@NewportMansions.org, or call (401) 847-1000 ext. 126. To join our dedicated community of volunteers, please complete a Volunteer Profile. Thank you for your desire to serve and be a part of our Volunteer Community. We look forward to working with you! Looks like you're on a mobile device. Register to volunteer by clicking this link.